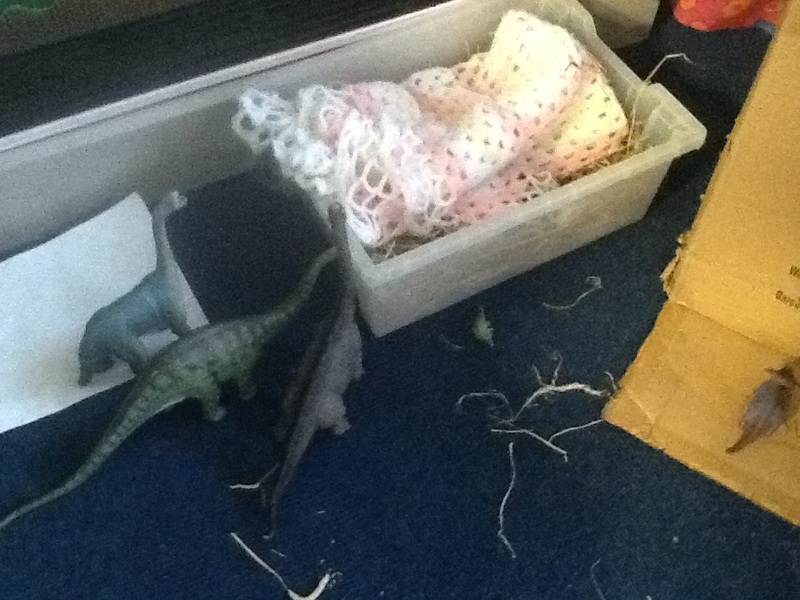 This term our topic is called, "Battle of the Dinosaurs"
On Tuesday we found a little triceratops and a nest with 2 dinosaur eggs in our corridor. We have called the little triceratops, Tracey. We have made her feel safe and welcome in our class. 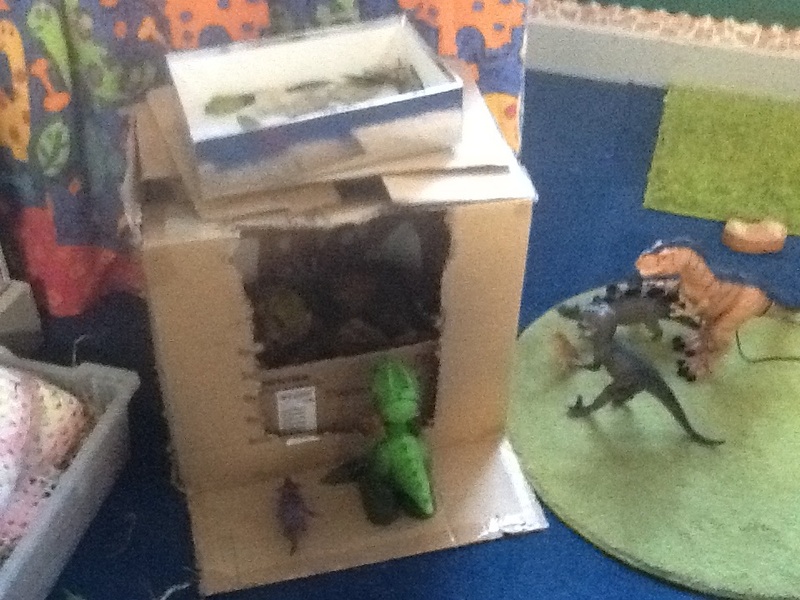 We made some homes for her, gave her leaves and water and put our classroom dinosaurs on the carpet with her. We think she is happy. Which is your favourite dinosaur rap ? We have been watching these dinosaurs raps on CBEEBIES. Which of Andy's raps do you like best ? Dinosaurs have been helping us with our Maths work this week. We have also been learning about the differences between story books and information books. We have been using information books to draw dinosaurs and write about them. Watch out the dinosaurs are coming ! We use the Create my Dino app to make our own dinosaurs. To end our topic we made our own dinosaur in the classroom using paint and collage materials. Photographs to follow shortly.